LCS fans watching the FlyQuest vs. TSM match on Sunday may have experienced some déjà vu. That’s because the game ended with a FlyQuest backdoor, with top laner Omran “V1per” Shoura taking down the TSM Nexus by himself. It evoked memories of an exciting match between the two sides last summer that ended in a thrilling base race, also won by FlyQuest. But this year’s match took on a dramatically different pace. FlyQuest had a lead last summer, but the gold differential never broached 4,000. That wasn’t the case this time, though—FlyQuest basically blew TSM out. The game started slow but heated up when V1per helped jungler Lucas “Santorin” Larsen secure a kill in a two-vs-two situation in the top lane. But the other TSM lanes were winning big and it seemed like they would have the advantage yet again—right until FlyQuest Juan “JayJ” Guibert decided he had enough. He threw out an Ornn ult and caught both players in the TSM bot lane overextended. The tenor of the game seemed to shift then. Everything started to go FlyQuest’s way. 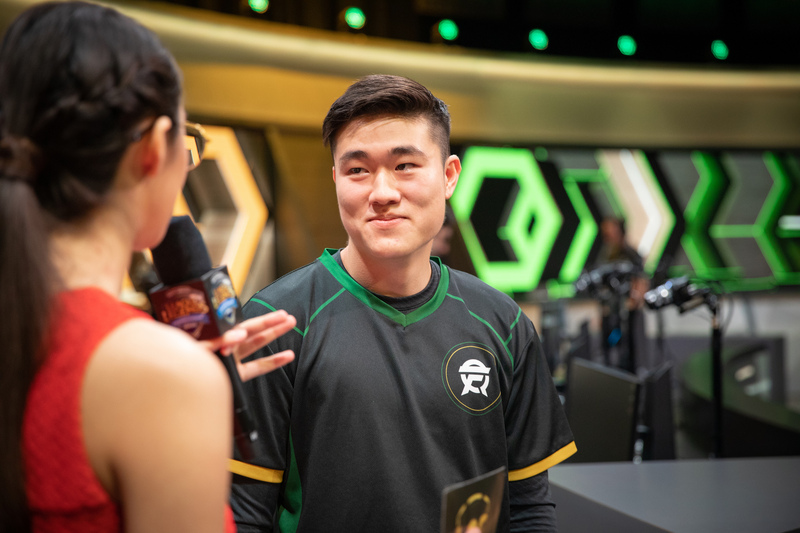 Even when TSM started Baron, FlyQuest mid laner Eugene “Pobelter” Park, playing Zoe, managed to pick up an extra Smite and stole the objective. The map fell apart for TSM at that point. When they rushed to the second Baron spawn, it was mostly out of desperation. They were routed at the pit and that set up V1per to end the game in pretty undramatic fashion. So, this wasn’t exactly a repeat of 2018. But for FlyQuest fans, they’re happy anyway. If anything, this team, sitting a 3-1 in the standings, has more potential than last year. TSM will try to improve following a 2-2 start to their 2019 campaign.